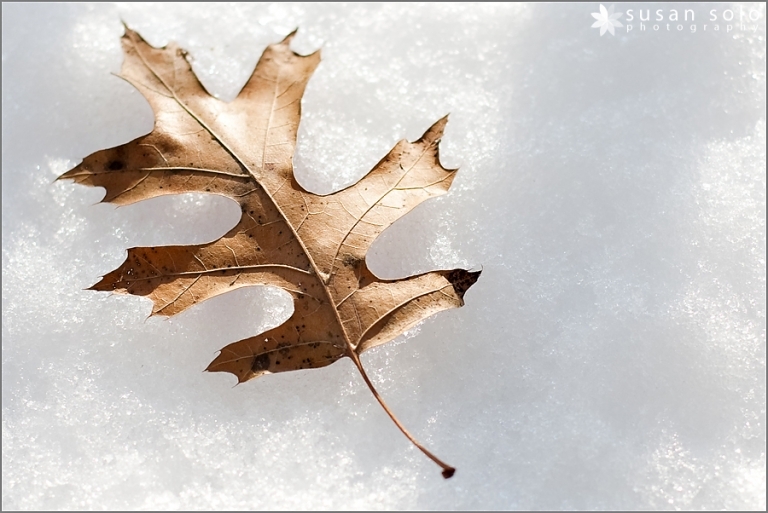 Considering the fact that crispy fall leaves are still around but we also had our first snowfall in the DC area, clearly it’s an all-out battle between fall vs. winter. I have to say though that the current temperature makes it feel like winter is going to win here shortly. I expected that the snow from Saturday would be melted by now, but we still have a bunch of the white stuff sticking to our yard. I found this one little leaf hanging out in the snow on one of the balconies, trying to stake claim on the last few days of fall. Brrr! The onset of super cold weather means shooting season is winding down (almost) and Chris and I can get some chores done, one of which being major computer upgrades for both of us. So bear with me in the next few days while I piece my technological world back together. If you’re waiting on an email from me or anything else, I should be getting back to you shortly!